West Central Wireless is a local mobile phone provider serving Central and West Texas based in San Angelo, Texas, with satellite offices in Brady, Texas. 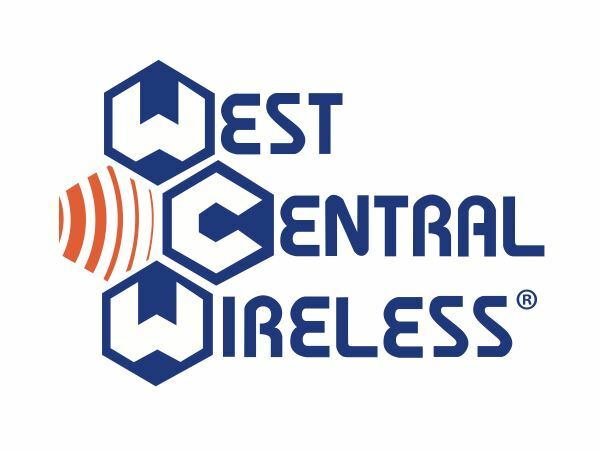 West Central was founded 25 years ago to provide the best cell phone service in west central Texas. Their mission is to provide customers with the best products, services, and solutions helping to make their lives safer and worry-free. Their cellular services consist of 850 MHz HSPA and GSM networks, along with legacy D-AMPS (TDMA) and CDMA networks. West Central Wireless needed to upgrade their network solutions of to a reliable service that could handle its massive customer base. One of the fundamental aspects of this process was finding a reliable service with more bandwidth for broadband services to cover more distance. Thus far, West Central Wireless is using BEC 4G LTE and Remote management products successfully throughout the rural areas of Central and West Texas. West Central Wireless noticed instability in their network service resulting in losing money due to truck rolls and little performance. In addition to this unreliability in the service, there was a lack of support available when problems arose from the equipment. The material used was not able to support the deployment distance leaving customers without consistent service. West Central Wireless was in need of products that could assist over 6,500 fixed wireless customers and an upwards of 500 customers a month. With the help of BEC equipment, West Central Wireless not only did this but can support their furthest deployed client from a tower 19.8 miles away. BEC’s products provided West Central Wireless with a more reliable service and increased performance with more open data rates at all distances from the tower. In addition to the router, West Central Wireless deployed remote management systems that enable them access to the routers remotely for troubleshooting purposes when needed, significantly reducing their time spent on each support call and reduces truck rolls. West Central Wireless deployed the 6200 WXLR4/R5, 6800ULR4/R5 (BiPAC 6200ZUL), MX- 1000 and LCMS remote management system. Since the deployment of BEC products, West Central Wireless has noticed increased stability, extended range, and improved performance. Remote management impacted their bottom line by enabling efficient support and increasing device uptime. BEC offers US based support out of Dallas, TX and have been on-site many times through the service launch to ensure a successful deployment. BiPAC 6200ZUL is a 4g LTE Broadband Router that provides Broadband access without boundaries for many consumers, businesses and service providers. There are still many regions not yet covered by the “minimum broadband standard” defined by the FCC and in these rural areas, like in Central and West, Texas, fixed wireless broadband is the ideal broadband deployment technology. With the implementation of this 700MHZ Band LTE network; West Central Wireless achieved available data rates, signal strength and reliable coverage in rural Texas. The 6800RUL (BiPAC 6200ZUL) is a 4G FF-LTE outdoor broadband router designed for the latest generation LTE fixed wireless networks providing connectivity for homes and business on the fringe of cellular networks. The 6800RUL (BiPAC 6200ZUL) supports robust MIMO antenna options, embedded directional panel or Omni- directional detachable antennas for superior range and coverage. Also, Power over Ethernet for ease of installation with a P67 rated enclosure to withstand the harsh outdoor environments. The BEC MX-1000 Advanced Industrial 4G/LTE Wireless Router is a high-performance all-in-one fixed wireless communications platform with advanced software enabling high availability, reliable and secure connectivity for mission critical applications. The MX-1000 is specially designed to support a broad range of applications and vertical machine-to-machine (M2M) market segments. BEC’s LCMS Remote Management System allows access to all network devices from a single interface giving the customer the ability to control multiple channels at their fingertips. With BEC’s LCMS remote management system, West Central Wireless can access every model remotely, saving enormously on truck rolls. BEC’s products outperform other products and improve the quality of services for their customers. Through the deployment of BEC equipment, West Central Wireless was able to solve all network issues saving time and money.